(1) The system is simple and compact structure. (2) With PLC or button controlling, convenient and quick operation. (3) It is fit for outdoors, basements and villas. 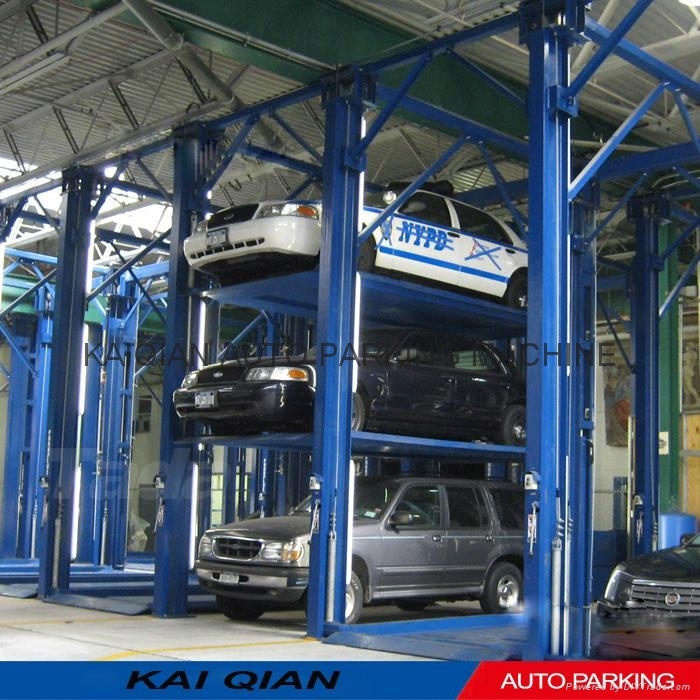 This type of parking equipment can be divided into 2-layer on the ground, 4-layer on the ground,and so on, according to specific structure or configuration relationship. It can be flexibly combined and designed according to site conditions. 1)Emergency stop button and car positioning device. 3)Retarding device and brake equipment. 4)The upper and lower limit protection. 5) Power-off self-locking protection device.